It is hard to face the sad reality that many of our senior citizens in the United States living in nursing facilities are mistreated, abused or neglected. Once thought to be an uncommon occurrence, the mistreatment of the elderly living in nursing facilities has become rampant. The Kingman nursing home abuse & neglect attorneys at Nursing Home Law Center LLC recognize that the serious problem has become all too commonplace in Arizona too. Medicare releases information every month on all nursing homes in Kingman based on the data gathered through surveys, investigations, and inspections. According to the federal agency, currently, five (42%) of the twelve Kingman nursing facilities are providing substandard care after serious violations and deficiencies were identified. 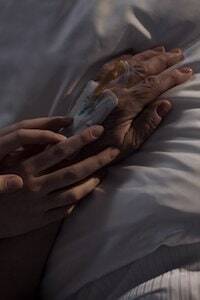 If your loved one was harmed, injured, mistreated, abused or died unexpectedly from neglect while residing at a nursing home in Kingman, your family has rights. We invite you to contact the Kingman nursing home abuse & neglect lawyers at Nursing Home Law Center (800-926-7565) today. Schedule a free case evaluation and let us discuss your legal options for obtaining monetary recovery through a lawsuit or compensation claim. While the NHRA act of 1987 does provide an avenue of legal/financial recourse for victims of nursing home abuse, it does not stop the unacceptable behavior that causes injury or death to many nursing home victims every year. Our Arizona elder abuse attorneys recognize the difficulty in taking action against those who cause your elder loved one abuse, mistreatment or neglect. In an effort to provide assistance, our accomplished Kingman nursing home lawyers routinely review publicly available databases, searching for opened investigations, health concerns and filed complaints against nursing facilities throughout the state. We have posted this publicly available information in an effort to help families make the best informed decision possible before placing a loved one in a nursing facility in the Kingman area. The list below contains nursing facilities that currently maintain below average rating according to the federal national databases including Medicare.gov. We post this information along with our primary concerns involving acts of abuse, accident hazards, drug errors and other serious problems that jeopardize the health and well-being of residents. The deficient practice was noted after review of the resident’s physician’s orders dated 09/10/2014 that revealed “wound care orders to cleanse coccyx open area with normal saline, pat dry, apply hydrogel and cover with dressing daily until healed.” The state investigator noted upon a review of the resident’s 09/10/2014 Assessment Data Collection Form that there was “no stage or measurements were noted” in regards to the resident’s pressure ulcer to their coccyx. However, the state surveyor noted that a review of the resident’s fall risk assessment indicated that the “resident had no falls in the past three months and had a balance problem standing, however, was assess to not be a risk for falls.” The surveyor also reviewed the resident’s MDS (Minimum Data Set) revealing that” the resident transferred to a standing position with extensive assistance of one person and that a chair that prevented the resident from rising was not used. The state surveyor conducted in 08/28/2014 observation of the resident who “was in a tilt back wheelchair in his room. At the time, family member stated that the resident had fallen multiple times for regular wheelchair as he would scoot to the edge of the chair, bend down and fall. The family member stated that it was a little harder for the resident to get up from this type wheelchair when it was reclined, but the resident had not had any falls from this wheelchair. The state surveyor recognized that there was no clinical record revealing documentation “that the resident had been consistently reassessed and monitored during 2013 2014 for the continued use of a tilt back wheelchair in order to determine if it was a restraint.” In addition, there was no documentation noting “if there were medical symptoms that warranted for [the continued use of the tilt back wheelchair] and if the least restrictive measures had been attempted prior to implementing” the use of this type of restrictive wheelchair. Make sure that your loved one receives medical attention immediately to ensure their long-term recovery. Take quick action to prevent any injuries in the future. Recognize it is not the victim’s fault, but the fault of others who were in charge of providing care and safety of the victim. If you serve as a legal advocate for your loved one residing in a nursing facility in Arizona, it is imperative to take immediate action to ensure their safety at the first sign of abuse or neglect. Reporting an incident of abuse or signs of negligence to the state hotline is typically the first step. Next, you want to report your suspicions to the facility’s Administrator and/or Director of Nursing. By law, they must properly investigate the allegation and interview all parties involved before reporting their findings to the State Agency. Finally, you will want to consider hiring a skilled personal injury attorney who specializes in nursing home abuse cases. A competent lawyer can investigate your claim, gather evidence, speak to eyewitnesses, review medical/hospital records and build a civil case against the facility and/or all parties involved. In addition, the attorney can take steps to build a claim for compensation to ensure your loved one receives the recompense they deserve for their injuries, harm or damages. The Kingman nursing home abuse attorneys at Nursing Home Law Center LLC can assist you in navigating the complex and comprehensive legal process necessary to hold those legally accountable and provide your loved one for financial compensation they deserve. Our Arizona team of dedicated, knowledgeable lawyers has provided legal representation in victim cases involving abuse, mistreatment and neglect occurring in nursing facilities throughout Mohave County. Contact us today by calling our Arizona elder abuse law offices at (800) 926-7565. Schedule your free, no obligation appointment today to discuss your case with one of our skilled attorneys. We accept all personal injury claims, wrongful death lawsuits and nursing home abuse cases through contingency fee arrangements. This means all of your legal fees are paid only after we are successful in your lawsuit trial or negotiate an acceptable amount of financial compensation in your out of court settlement.